“A Shorten Labor Government will help communities to develop stronger responses to FASD, particularly in remote and isolated communities, where the disorder is having a particularly harsh impact. The fact that certain communities are disproportionately impacted by this disorder cannot be ignored. Labor will work with communities in places where there is a high risk of FASD to address this in ways appropriate to their local community. Fetal Alcohol Spectrum Disorder (FASD) refers to a range of conditions caused by exposure to alcohol while in the womb. Often not apparent until the child reaches school age, the impacts may be physical, developmental and/ or neurobehavioral and are lifelong. FASD continues to ruin lives and disproportionately affects Aboriginal and Torres Strait Islander people. We now know it is much more prevalent across the entire community than previously thought. 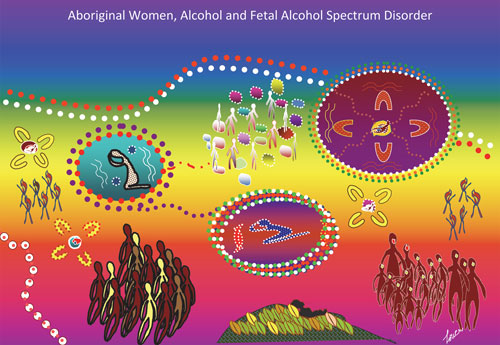 One in five women continue to consume alcohol whilst pregnant yet health professionals are reluctant to ask about alcohol consumption and few are familiar with the clinical features of FASD. A Shorten Labor Government will implement a plan to tackle FASD, drawing on expert advice and on programs shown to deliver strong results. Labor will also implement a range of measures to improve training for health professionals and management of this harmful disorder. A Shorten Labor Government will provide specialist support services to pregnant women with alcohol-related disorders and implement the FASD diagnostic instrument. This will include providing extra support to women to reduce or cease their alcohol consumption and providing advice on the contraception options available to them. Unfortunately, many treatment programs in Australia have not been designed with women, particularly mothers, in mind. This affects both accessibility of treatment and the types of treatment available. Many fear that they will lose their children if they admit to problems with alcohol. That is why Labor will provide funding to alcohol and illicit drug treatment services so that they can develop practices and strategies tailored specifically for pregnant women and mothers. The Kamira Drug and Alcohol Centre located on the Central Coast of New South Wales is the perfect example of a centre that helps pregnant women and mothers with substance misuse problems. Unfortunately, like many treatment services it is over-stretched and has to turn away women even though it has empty beds (due to resourcing issues). As part of this package Labor has committed $2.2 million over four years to Kamira, to ensure it can operate at full capacity and better meet the growing demand for help. A Shorten Labor Government will establish FASD diagnostic service clinics to conduct research into the best models for delivering care. Labor understands that we need to improve FASD diagnosis rates if we are going to make any headway in reducing the incidence of this disorder. FASD is a complicated disorder which requires a multi-disciplinary approach with assessments undertaken by different health professionals including psychologists, speech therapists and paediatricians. In addition to this, breaking the news to someone that their child may be suffering from FASD can be very confronting, particularly since there is so much stigma attached to the disorder. That is why Labor will support diagnostic teams to target at-risk communities, including rural and remote communities. This will be based on the success of the Lililwan Project in the Fitzroy Valley in Western Australia where children were assessed by a specialist multi‑disciplinary team that made contact with the community. This model can be adapted to local communities to make sure that it is targeted and culturally appropriate. A Shorten Labor Government will boost training for health professionals to increase their awareness of FASD and facilitate the use of the disorder’s diagnostic instrument. It is no use having a diagnostic instrument if it is not being used effectively. That is why our plan will focus on increasing awareness of FASD and facilitating use of the new instrument that was released earlier this year. Unfortunately, many health professionals are either unaware of FASD or are not suitably equipped to help patients suffering from the disorder. This must change. As part of this strategy we will develop a training and implementation plan to make sure that FASD was being detected and treated appropriately everywhere in Australia. Labor will draw on the experience of work undertaken in the United States, where training programs have been developed to comprehensively train health professionals on FASD. There is evidence of the effectiveness of providing better training on particular medical problems which are often misunderstood or misdiagnosed. For example, in 2010 the Royal Australian College of General Practitioners administered a program to train providers to deliver psychological skills training for GPs. We need a similar model for FASD, especially since GPs are often the first point of contact for people affected by FASD. Tackling one of Australia’s biggest killers and a leading cause of disability, the Shorten Labor Government will deliver a $16 million boost to stroke awareness and follow up care. One in six Australians will have a stroke in their lifetime, with Australians suffering more than 50,000 new or recurrent strokes this year alone. 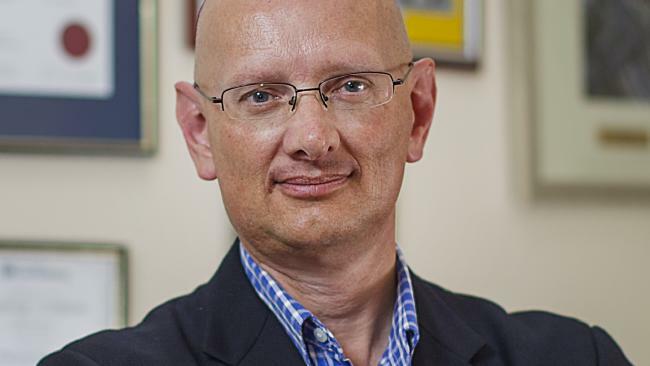 Almost half a million Australians are already living with the effects of a stroke, a figure that is expected to climb to over 700,000 by 2032 and almost one million by 2050. But it doesn’t have to be this way – access to quick treatment and support services can save lives and reduce disability. A Shorten Labor Government will partner with the Stroke Foundation to increase awareness of the signs of stroke and ensure better supports for stroke survivors, including improving access to treatments and support. 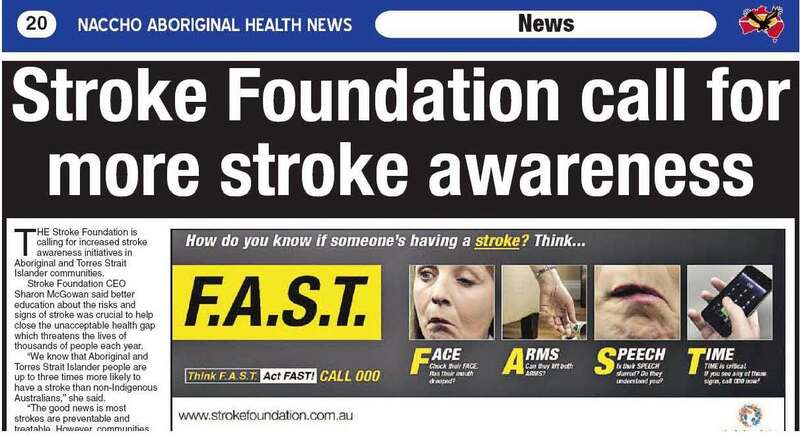 Labor’s investment will raise awareness of the Stroke Foundation’s FAST test. Thinking FAST and acting FAST is critical. Early treatment could mean the difference between death or severe disability, and is critical in ensuring a good recovery from stroke. Time Time is critical. If you see any of these signs, call 000 straight away. 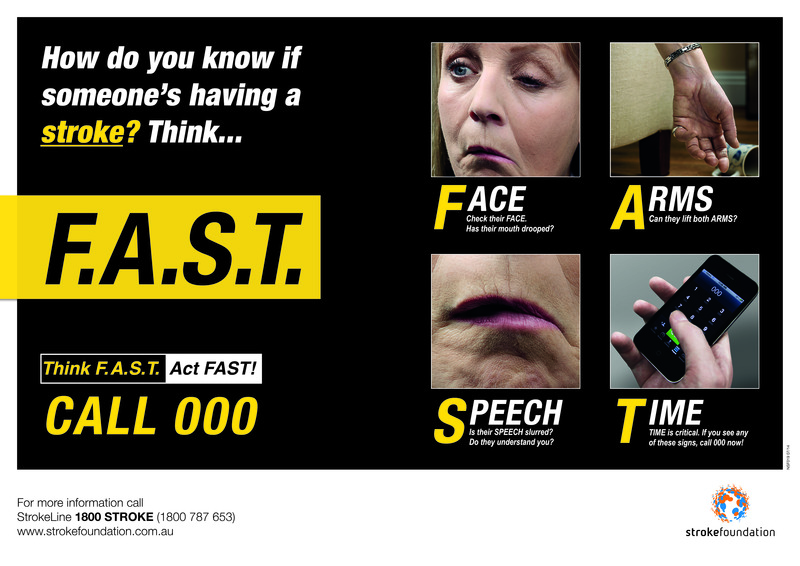 Strokes can occur to anyone of any age at any time, but every Australian has the power to save a life by thinking FAST and acting FAST when they recognise the signs. Labor’s investment will raise community awareness by forming local partnerships and re-establishing the StrokeSafe Ambassador program. The number one issue for stroke survivors is improved care. A Shorten Labor Government will invest in the Stroke Foundation’s follow-up and referral service for around 24,000 stroke survivors. This will facilitate their sustainable, long-term recovery. Leaving hospital after a stroke can be a very frightening and isolating time for survivors, particularly for those who don’t have family support. Survivors speak of not being able to access information and services and being left to fend for themselves, unaware of the right places to seek help. The Stroke Foundation’s follow up and referral service will provide comprehensive post-hospital support to stroke patients, their carers and families. The service will pro-actively contact stroke survivors via a phone call at around six weeks post discharge providing a needs assessment, offering assistance and community service referral. The follow-up service will also provide vital information for families and carers as they help their loved one adjust to life after a stroke. Labor’s investment in stroke awareness and care is further proof that only Labor believes that all Australians, no matter where they live or how much they earn, are entitled to the best possible health care. The Stroke Foundation has welcomed today’s announcement by the Australian Labor Party that, if elected, it will deliver a vital $16 million boost to stroke awareness and stroke survivor support. Shadow Minister for Health Catherine King pledged to partner with the Stroke Foundation in a national FAST campaign to raise awareness of the signs of stroke and to roll-out a follow up and referral service for stroke survivors and their families. Ms King made the announcement at a community event in Box Hill this morning. Stroke Foundation Chief Executive Officer Sharon McGowan said the funding would improve outcomes for the one in six Australians that will suffer a stroke in their lifetime. “Currently stroke kills more women than breast cancer, more men than prostate cancer, and it is a leading cause of acquired disability. However, it does not have to be this way, stroke is treatable and it is beatable,’’ Ms McGowan said. “Thousands are living with the impact of stroke and this funding will go a long way towards improving community awareness and supporting stroke survivors to make their best recovery possible,” she said. A stroke is always a medical emergency but the average person has an alarming lack of knowledge about it. “Getting to hospital FAST is critical to recovery from stroke,” Ms McGowan said. “When a stroke occurs brain cells die at a rate of 1.9 million a minute, time-critical treatments can help stop the damage spreading and in some cases even reverse it. Building on the national FAST campaign, funding for the Stroke Foundation’s follow up and referral program will ensure thousands of stroke survivors and their families across Australia get the support they need upon discharge from hospital. “For many stroke survivors and their families there is a void in support once they return home from the hospital. Up to half of stroke survivors currently leave hospital without a plan to support their transition home, limiting their recovery opportunities,’’ Ms McGowan said. “The program will deliver stroke survivors, their carers and families with the information and support they need to maximise their recovery. It will help survivors to navigate the often confusing and frightening journey of life after stroke by linking them to the support and services they desperately need. Stroke survivor Bill Gasiamis also welcomed today’s announcement saying it had the potential to transform lives. “For many stroke survivors, dealing with the aftermath of stroke is a daily battle,” he said. Ms McGowan said the Foundation was now calling for leadership from all political parties to commit to key priorities to improve the state of stroke, outlined in its Tackling a rising tide platform. “This election presents an enormous opportunity to make a difference. Stroke is not a hopeless cause – it is largely preventable and treatable, there are actions we can take now to tackle it,” she said. “I welcome today’s commitment and call on all political parties to make stroke an election priority, recognising the devastating impact it has on our community. Making the announcement at Congress’s Sydney headquarters this morning, indigenous affairs spokesman Shayne Neumann described last week’s “Redfern Statement” declaration as talking to a “powerful and uncomfortable truth” and said Labor was “up to the challenge” of answering its demands. These included restoring around $500 million stripped from the indigenous affairs budget in 2014, restoring funding to Congress, hosting a government summit to hear indigenous voices, giving indigenous Australians the lead in policy decisions and opening talks on a treaty. Congress would get $15 million over three years under a Shorten government, Mr Neumann said, and around 80 per cent of the $500 million would be returned across a range of programs including early education services, family violence prevention and school attendance programs. Mr Neumann said a Labor government would convene a summit within 100 days “to work with indigenous people to develop priorities”. Congress co-chair Jackie Huggins said the funding announcements were welcome as they focused in large part on “the most vulnerable targets in our community … family violence is a scourge that has to be tackled really quickly”.